Do, measure, repeat. These women's three-quarter tights are made with Speedwick fabric that keeps sweat under control when you're blasting heat while hitting your goals. A wide low-rise waistband and fitted cuffs provide a secure fit. 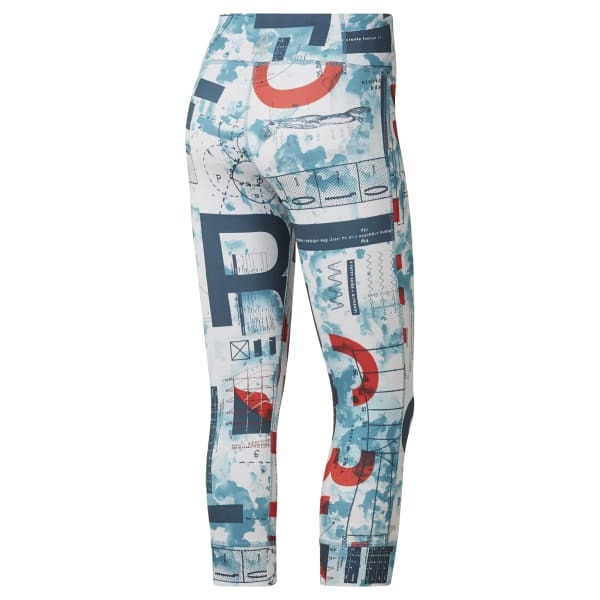 The training leggings display an allover print that illustrates the CrossFit scientific approach to fitness.